Karylle and Jhong Hilario’s team emerged better and stronger in this year’s Magpasikat competition on “It’s Showtime” as their original musical about acceptance and diversity – their sequel to last year’s musical love story – was selected by the judges as this year’s champion. 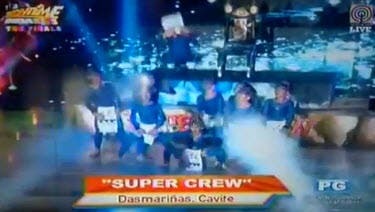 Team Karylle-Jhong, which placed third in last year’s Magpasikat week, staged a colorful musical that featured original songs, dramatic scenes, humor, and dancing to tell the story of a cockroach and a caterpillar’s child (Jhong) who is struggling with his identity. Through music and rainbow flags, the performance sent a positive message of love, acceptance, and support for the LGBTQ (lesbian, gay, bisexual, transgender, and queer) community. The musical was deemed unique and had a potential to be recognized internationally by judges Ronnie and Mariz Ricketts, comedian Empoy Marquez, actor PJ Abellana, politician Shalani Soledad, and broadcast journalist Gus Abelgas. 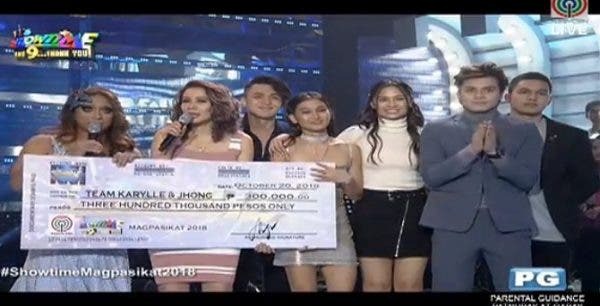 Team Karylle-Jhong, which also included Hashtags Ronnie, Jimboy, and Rayt, and GirlTrends Chienna and Jessica, won P300,000 for their chosen charity. 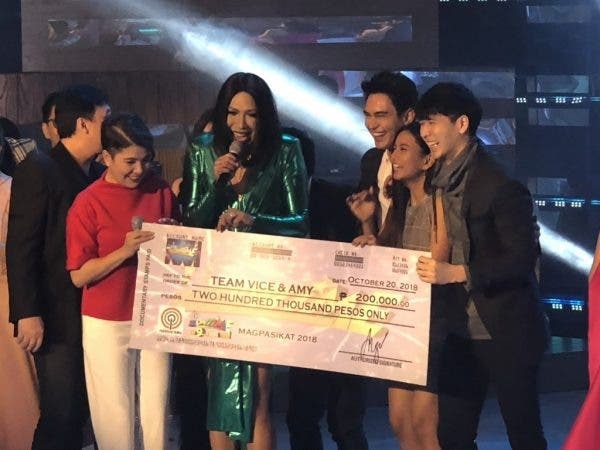 Coming in second place was the team of Vice Ganda and Amy Perez, who inspired viewers to reach their dreams and be the greatest that they can be in an empowering performance that included a trampoline dance act and singing in the rain. 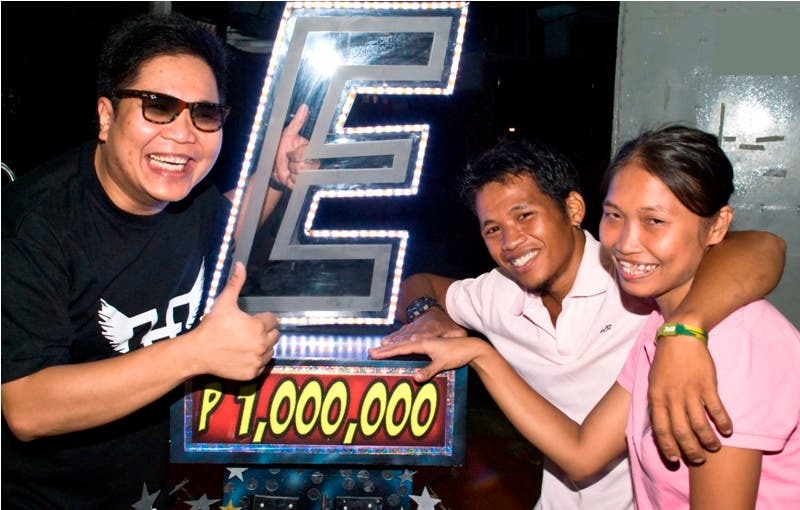 The team won P200,000 for their chosen charity. 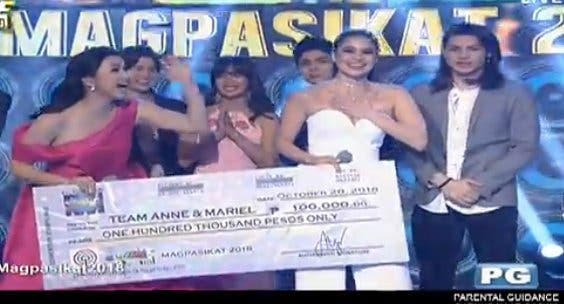 Anne Curtis and Mariel Rodriguez-Padilla’s team, meanwhile, won P100,000 for their charity for their death-defying “The Greatest Showman”-inspired performance. Team Jugs Jugueta-Teddy Corpuz and Team Vhong Navarro-Ryan Bang, on the other hand, both received P50,000 each as consolation prize. While the “It’s Showtime” hosts will donate their Magpasikat prizes to certain charities, the “Tawag ng Tanghalan” family, led by hurados Jaya, K Brosas, Nyoy Volante, and Mitoy, and “TNT” singers Froilan Canlas, Steven Paysu, Sheena Belarmino, Ato Arman, Marielle Montellano, Noven Belleza, Sam Mangubat, also shared the love through a production number that featured a medley of Christmas songs. According to them, they will donate their talent fees from the production number to ABS-CBN Lingkod Kapamilya Foundation Inc.’s Bantay Bata 163 program, following the TNT Boys’ participation in the President’s Star Charity in Singapore and the donation they made to Bantay Bata 163. The anniversary episode, which also looked back at the program’s nine years of making the madlang people happy and discovering and nurturing Filipino talents, generated buzz online as the hashtag #ShowtimeMagpasikat2018 trended at number one in the Philippines and worldwide on Twitter. 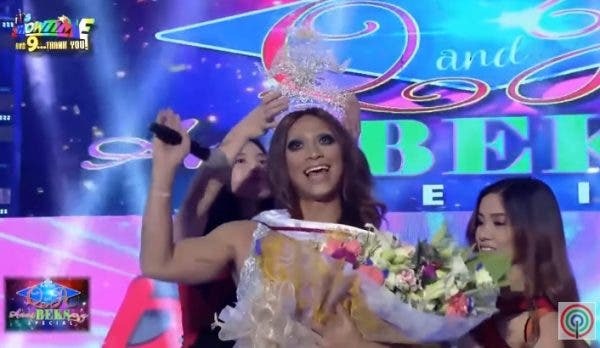 Don’t miss the fun and good vibes in “It’s Showtime,” on ABS-CBN and ABS-CBN HD (Sky Cable ch 167).